Ladies First (2017) – What's New on Netflix Canada Today! 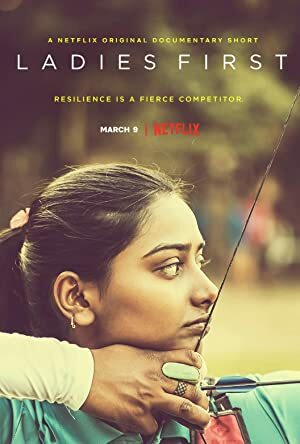 Ladies First tells the story of Deepika Kumari who was born on the roadside to abject poverty in rural India, ventured out on her own at age 12 in search of food and shelter, and stumbled upon archery. Learning that team members were given a meal a day and a roof over their heads, Deepika, who’d never heard of the sport, asked for a tryout. Within four years she became the number one archer in the world, and represented India at two Olympics. We document Deepika’s path to the Rio 2016 Olympics. Having to overcome the obstacles of a repressive system, she strives to achieve her dream of becoming the first Indian woman to win an Olympic Gold Medal. Talent in every country is evenly distributed amongst gender; but opportunities are unfortunately not. In India, we have squandered the unrealized talents of millions of young girls. We hope Deepika’s story can help shatter India’s tragedy of small expectations for girls and put LADIES FIRST.